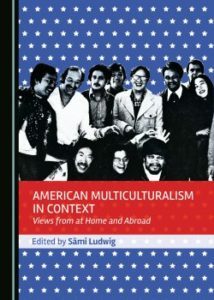 Cambridge Scholars Publishing is pleased to announce the publication of American Multiculturalism in Context: Views from at Home and Abroad, edited by Sämi Ludwig. In March 2015, a group of experts from four continents and a wide range of disciplines met with the leading African American writer Ishmael Reed in Mulhouse, France, and Basel, Switzerland. Guided by Swiss cultural and literary theorist Sämi Ludwig, and deliberately migrating back and forth across a political border in the heart of Europe, they not only listened to Reed and discussed his work, but also looked more widely at the different meanings assigned to “multiculturalism” in the United States, Europe, and other parts of the world. This volume brings together their reflections. American Multiculturalism in Context: Views from at Home and Abroad can be purchased directly from Cambridge Scholars, through Amazon and other online retailers, or through our global network of distributors. Our partners include Bertram, Gardners, Baker & Taylor, Ingram, YBP, Inspirees and MHM Limited. An e-book version will be available for purchase through the Google Play store in due course. For further information on placing an order for this title, please contact orders@cambridgescholars.com. Sämi Ludwig is a Professeur des Universités at the University of Upper Alsace Mulhouse, France. He received his education at the University of Berne, Switzerland, and has published in REAL, AmerikaStudien, Mosaic, the Cambridge Companion to Toni Morrison, The African American Review, and The Journal for Asian American Studies. In his PhD thesis on intercultural communication in the work of Maxine Hong Kingston and Ishmael Reed, he outlined a theory of the metaphorical tracing of the intention constructions of the other. His second book, titled Cognitive Realism: The Pragmatist Paradigm in American Literary Realism, focuses on the convergences of American Realism and pragmatist theory, and was published in 2002. In addition to intercultural issues and questions of cognitive and pragmatist approaches to literature, he is also interested in the big picture of literary history and colonial American culture, and occasionally writes about poetry. The interview discusses the author’s reading habits, and more. Lalami won an American Book Award in 2016 for The Moor’s Account. “Van Jones talks to me about Trump, Bannon, totalitarianism, where Democrats went wrong, Spirituality in Politics, Muslims and much more. Please give it a read, listen and share. He says some really amazing, critical things here.” – Wajahat Ali is a journalist, writer, and member of Before Columbus Foundation’s board of directors. The Before Columbus Foundation board member challenges Congressman Jack Kingston in a debate about the presidential ban on travel to the US from certain majority-Muslim countries.